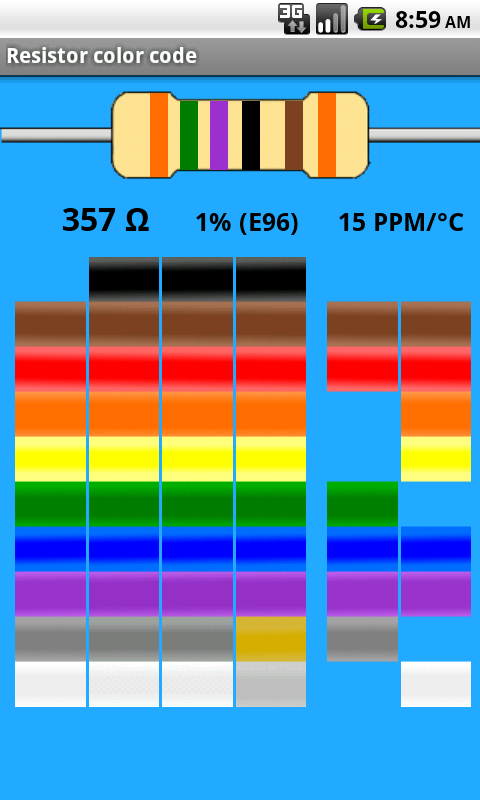 Calculate resistor value by selecting the band colors. 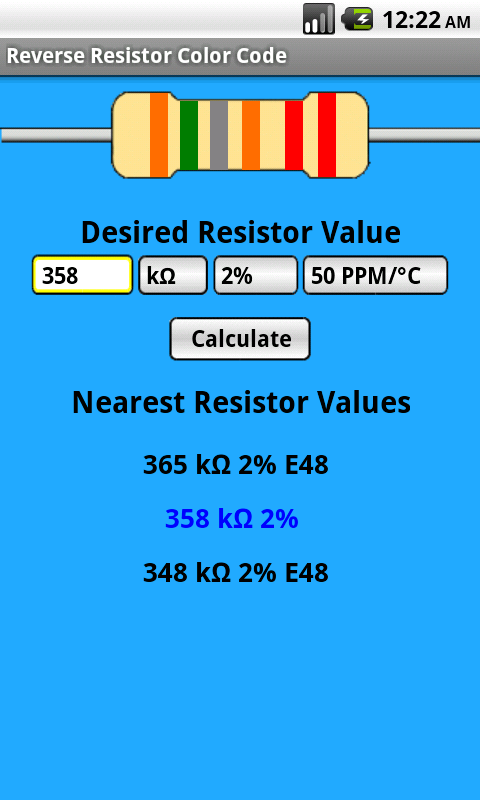 Enter a resistor value and find the color code. If the value is not an standard E-series value the two nearest values are shown. If the resistor has a standard E-series value then also the E-series number will be shown.